Fresh, family-farmed Canadian pork served with a basket of hearty root vegetables, ocean caught seasonal fish, and a nutritious blend of coconut and fish oils. 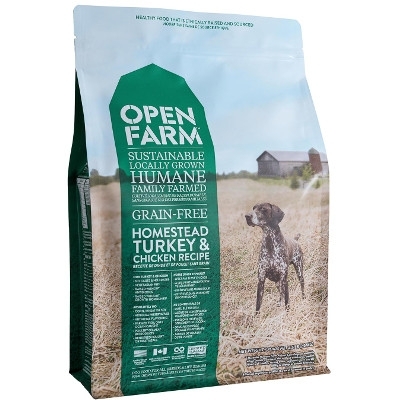 Open Farm Homestead Turkey & Chicken Dry Dog Food, 12 lbs. 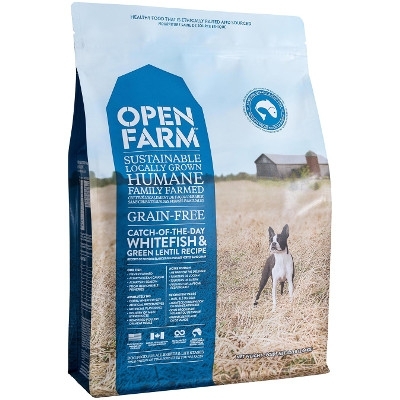 Turkey and chicken, delivered fresh from Open Farm's partner family farms, with ocean caught seasonal fish, local veggies and legumes and nutritious coconut and fish oils.